Property purchased at auction, with planning permission for a large 1 bedroom house. The property was a part-constructed shell that required all internal and some external works to be completed. 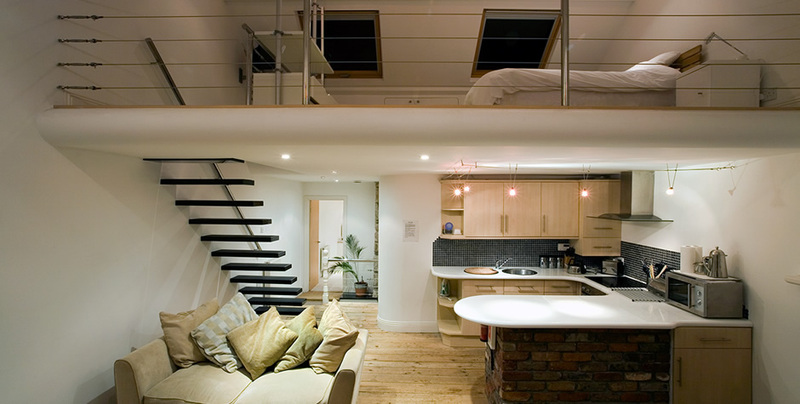 To maximise the internal space, floor depths had to be kept to a minimum. This required a bespoke design of structural floor steels. The whole project was featured on the BBC’s ‘Homes under the Hammer’ series. Re-submitted planning application to maximize use of the interior space. The new application granted permission for a 3 bedroom house featuring vaulted ceiling with a mezzanine level and a self contained 2 bedroom apartment on the ground floor.